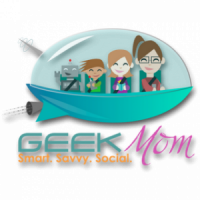 This week GeekMom Nicole Wakelin is joined by fellow GeekMom Mandy Horetski to talk about some upcoming conventions and how to manage them with the kids in tow. Mandy is attending Dragon*Con at the end of the month and Nicole is at GenCon right now playing all the games. Listen in as they talk about the things they’re most looking forward to, how to manage those scary cosplay moments, and what each con has to offer to people with families. They also talk about their various panels so you can stop by and say hello!